Sterling currently not reacting to Brexit being extended to October 31st,..
London wheat was down £1.05 May 19 (£163.50) for the week and November down 75p (£147.50). Sterling still worth c. 86p against euro as Brexit..
London wheat closed up on old crop, May 19 £162.55 and new crop +35p, November 19 £148.35, for a change, old crop + £3 and..
London wheat again closed down as bearish factors / sentiment weighs on markets. May 19 London closed down £2.20 (£159.50) and November 19 closed down..
For a change, London wheat closed up yesterday, May 19 + £2.15 (£166.50) and Nov 19 + £1.90 (£149.90). Sterling unchanged (£ / euro 87p)..
London wheat was mixed yesterday, May 19 down 80p, closing at £167.35, whilst November 19 closed up 20p at £150.35. This time last year,..
London old crop closed down 65p and new crop down 95p, making November discount to May £17.80. Sterling gains strength, now just below 1.15 against..
London wheat closed up 85p. Sterling maintained levels as Brexit situation / outcome continues to be interpreted in varied ways. UK wheat should be competitive..
London wheat closed up 70p yesterday, but on thin volume. Sterling fell against euro and $ as chances of No deal Brexit deal increased. London wheat closed up £1.05 old crop and up £0.55 new crop but on thin volumes. US corn and soya down, wheat fractionally up. Despite positive..
London maintained its rise on Friday, bringing weekly gains to £4 on old crop and £2.90 new crop wheat. Sterling had a volatile week but..
London wheat closed down 60p yesterday. Sterling remains c. .9050p against euro Significant number of conservative members trigger a vote of confidence on May’s leadership. London wheat closed down £1.15 on Friday but was up for the week, old crop up £2 and new crop up £1.50. The May 19..
London wheat closed higher on Friday but was down for the week (c. £1.50), 19 crop wheat futures were down £2.45 on the week. US.. US markets, especially corn and wheat, fell post USDA report. London wheat closed down £2.45 yesterday as London followed Matif’s losses on Monday. Sterling lower as chance of ‘No deal’ Brexit increases. London wheat closed down 15p on Friday, but gained £2.90 over the week. November 19 wheat lost 40p over the week and the differential between..
London wheat continued to rise, Nov 18 closing £5 higher. French wheat also higher, Strategie Grains cut EU wheat production for second time in 2..
London November 18 wheat closed up £1.25 on Friday, the market closed up 55p on the week. London markets followed global wheat market trends, wheat..
London November 18 wheat closed up 50p, whilst Matif wheat was lower, this was largely due to currency; sterling fell as Bank of England announced..
London November wheat closed unchanged yesterday having gained 25p on Friday, up 30p last week. New crop values have shown resilience, currently world fundamentals /..
London wheat closed up c. £1.40 for the week, ex farm prices reaching highest levels since before harvest.Demand to the north and feed industry; wheat..
London wheat closed down 20p on new crop but had gains for the week + £2.10, old crop and + £1.85 new crop. Physical demand..
London wheat closed almost unchanged having recovered from early losses. UK wheat demand to the north remains frustrated by a lack of supplies coming..
London wheat closed down on Friday, bringing total weekly losses - £2.60 May 18 and - £2.10 November 18. Sterling remains stable against euro as..
London wheat closed down yesterday 50p in new and old crop positions. 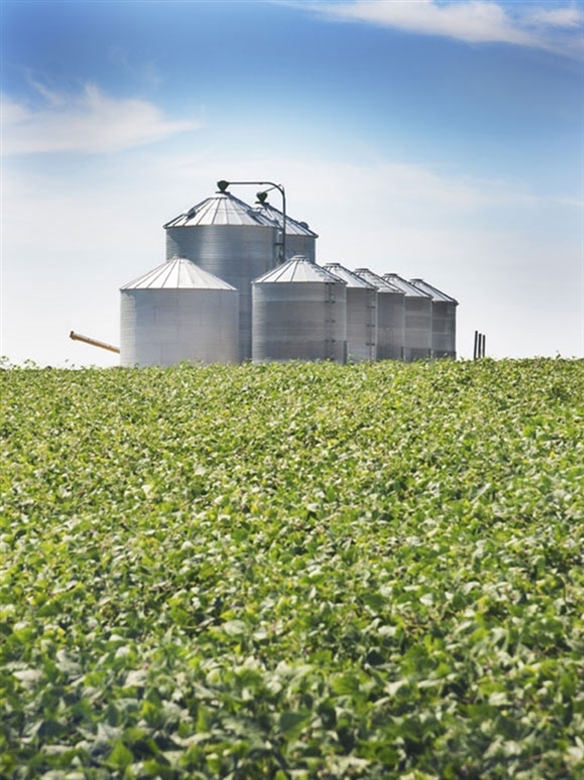 US grain rebounded, wheat and soya up slightly after Fridays losses. London wheat closed fractionally higher, but with USDA report published at 5pm UK time, market reaction was limited. USDA report was mixed, bullish corn and..
London wheat lost momentum on Friday, closing down 85p May 18 and down £1.55 November 18; at one point November 18 was trading £2.05 above..
London wheat closed slightly up yesterday and continue to increase this morning. US markets were higher despite stronger $. London wheat closed up 80p yesterday. Despite many markets closed yesterday e.g. US, China, trade responded to some bullish weather. London wheat closed up 20p but on thin volume. US markets, especially soya and wheat, were higher as a combination of weather and weaker $..
London wheat closed higher (old crop + 15p and new + 75p); although sterling is stronger against the euro and $. Matif wheat also up..
London wheat closed down £1 on old crop and down 40p new crop, bringing the weekly summary old – 50p and new -30p, November 18..
London wheat was slightly up Friday but an indication of the lack lustre nature of wheat markets, old crop down 10p and new crop up..
London wheat market is static, gained 5p on Wednesday and then lost 5p yesterday; only 33 lots traded yesterday, indicating market apathy. London wheat was, on average, down 60p yesterday but with little activity. Sterling undecided as Brexit negotiations stumble along. US markets down, especially wheat (5..
London wheat closed up 80p on Friday, but down c. £1 for the week. EU wheat price was 3 euros down on the week. UK..
London wheat closed up 5p but on very thin volume; sterling slightly weaker. USDA report was expected to have little market impact, but saw big..
London wheat closed down £1.50 yesterday, sterling stronger at 1.14 currently against the euro. U.S markets are weaker, wheat reaching new low..
London wheat was slightly weaker Friday, but November 18 values closed above May 18 provoking some selling of crop 18. London wheat closed up 95p for May 18 and November 18. Sterling down, euro again worth 90p+. Brexit negotiations continue with little reported progress. London wheat has been ‘choppy’ this week but currently November 17 is + £1 and November 18 + £0.60. Apart from fundamentals the grain markets..
London wheat closed down 85p on Friday, bringing the weeks fall to £1.90; the fall has largely been attributed to sterling gains, currently £ /.. Yesterday, London wheat closed down 75p despite sterling weakness, Brexit negotiations stumble on. 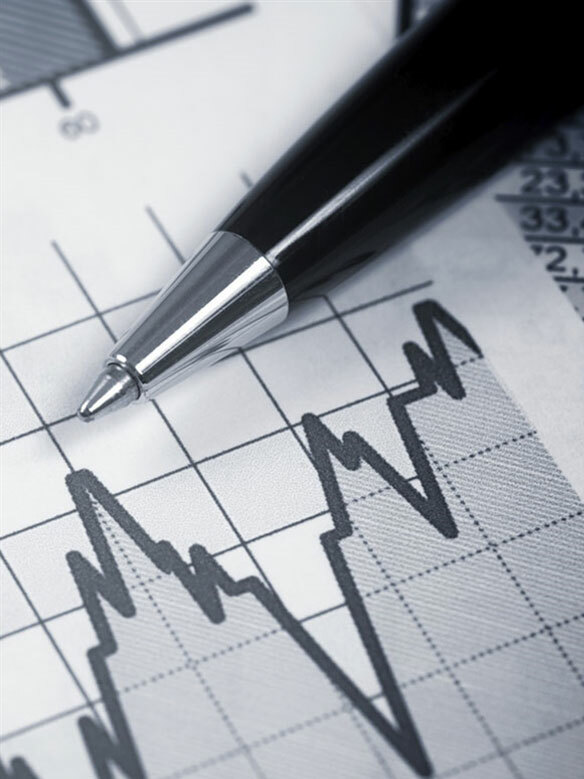 US markets were up, an important USDA report is due Thursday. London wheat closed up on Friday 25p but showing little change on the week, unlike European wheat with matif wheat closing €6 down on the..
London wheat traded up 55p on Tuesday but lost this small gain yesterday, although on light volume. US corn and soya firmer as weather continues.. Yesterday, November 17 London wheat closed down £1.25. European wheat yield forecast has been reduced 0.05 t/h to 5.86 t/h due to dry /..
London November 17 wheat closed up 60p. US markets retreated after recent rises with better weather (rain) forecast. Corn remains in an uptrend. London wheat closed down 50p yesterday; global markets retreated despite continued sterling woes. UK politics remains messy, especially with Brexit negotiations imminent keeping sterling weak. London wheat closed up c. £1.50 yesterday, weather and politics were the main influence. UK old crop wheat has lost momentum as meagre demand has..
London wheat fell 65p yesterday as markets lost momentum. US wheat was sharply down, losing most of the gains from the early part of..
London May 17 wheat was up £1.80 and November 17 + £0.55; the exaggerated May contract rise was technical, tender day is looming and ‘quirky’..
London old crop closed down 70p and new crop up 20p making May – November differential £9.00. Part of the reason for this contrast is..
London wheat closed down 50p on old crop and down 25p new crop due to sterling strength and negative world markets. London wheat was slightly weaker on Friday, this compounded losses for the week of c. £0.50, however Nov 17 wheat is this morning up 95p. London May 17 wheat closed down 45p and November 17 wheat down £1.15. 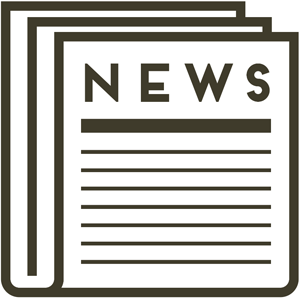 Sterling gained on reports that the UK interest rates could rise with..
Friday London May 17 closed down 20p and November 17 up 35p; UK wheat registered gains of c. £2.00 for the week however at the..
London wheat is not showing any dramatic price change, old crop down 20p and new crop up 20p. Weather continues to be benign, but we..
London wheat closed c. £1 down yesterday as grain markets generally had a negative day. UK old crop wheat is seeing little trade..
London wheat closed up £1.25 on old crop and up £0.85 on new crop making May – November differential £9.50. How wide can this spread..
London wheat closed up 45p on 2016 crop and up 25p new crop. The UK supply / demand looks tight; wheat from the south travels..
2017 starts with some analysts (e.g. Goldman Sachs) predicting a bullish trend for commodities such as mineral and oil but not wheat and corn. Yesterday, US markets lost some of the sizeable gains seen on Tuesday. Tuesday’s gains were not attributed to any fundamental change / reason but possibly..
May 17 (16 crop) London wheat closed up £1.10 yesterday, Nov 17 (17 crop) up 30p, May 17 is £1.95 presently at a premium to..
London wheat closed c. 50p down on Friday but was up 30p (2016 crop) and up 45p (2017 crop) for the week. Exports from EU..
London wheat closed down ~ £1 yesterday following last week’s losses that totaled c. £3.80. For comparison, French wheat was down €8.25 but rapeseed up..
Friday trade was quiet with US markets closed for Thanksgiving, however London 16 crop closed up £1.00. Over the week 16 crop was up £0.80..
London markets had a quiet trading day yesterday, May 17 up £0.05 and Nov 17 down £1.25. UK trade is, at present, mainly limited to..
London wheat closed down yesterday, old crop down 25p and new crop (2017) down 70p. UK exports for September show total of 712,000 tonnes so..
London wheat closed up £1.50 on old crop and up £0.90 on new crop. Sterling was weaker, inflation slowed in October, this has reduced chances..
London wheat closed virtually unchanged yesterday as stronger sterling was countered by tight domestic supply and little farm selling. London wheat continued its upward trend closing up £2.20 November 16, gaining £5.05 for the week. However, the November contract has also been pushed up..
London wheat closed up £1.15 yesterday despite sterling stabilising. Funds are short covering in U.S and Paris supported market. London wheat closed up £1.20 to register gains of £2.25 for the week; French wheat was €3.50 down for the week. London wheat closed unchanged yesterday but has gained £1.70 so far this week, the main driver of this increase is a weaker sterling; to put..
London wheat closed up 5p on Friday to bring the weekly gain to 35p but up £4.10 for September. London markets were helped by sterling..
London wheat traded down £1 yesterday; despite sterling reaching 3 year low. Sterling suffered from fears of exclusion from single market and ‘fragile’ balance of..
London wheat closed up 80p yesterday following last week’s £2.25 rise; much of this rise attributed to weaker sterling. For comparison, Paris wheat was up..
London wheat closed 25p down yesterday; the differential between Nov 16 and Nov 17 c. £8. UK wheat values are being supported by weaker sterling,..
London wheat closed up £1.50 yesterday as sterling was slightly weaker and some bullish influences appeared. French corn crop put at 12.5 mmt which is..
London wheat closed 25p down on Friday, bringing the week’s losses to £3. Much of the decline has been attributed to sterling strength, bolstered by..
London wheat closed down 85p yesterday as sterling gained strength and export demand remained thin. Sterling found support (3 month high) as UK economy is..
London wheat closed up yesterday £1.05. Exports of wheat are happening from UK but this is mainly old business being executed. Despite weak sterling, the..
London wheat closed up £1.75, benefiting from a weak sterling (1.1645 / .8588 against euro) that suffered from negative economic news (trade deficits / government..
London wheat closed down 45p Friday but gained £1.30 for the week. French farm ministry put French average wheat yields at 5.57 t/ha meaning a..
London wheat closed up yesterday 55p. Sterling recovered despite expectations that the Bank of England will cut interest rates tomorrow. London wheat traded up 70p on Friday but closed down 35p for the week. Market conflict between bad yields in France and robust results elsewhere..
London wheat closed down £1.35 yesterday as markets calmed down after last week’s recent sharp rise the rise was provoked by pessimistic yield reports from..
November 16 London wheat closed up 15p yesterday. US markets were down but the slide slowed. Much of the US markets fall was attributed..
Having registered a fall of £1.50 last week, yesterday November 16 wheat closed up £1.25. Sterling tried to strengthen in response to economic comments from..
November London wheat closed down 10p, although other positions showed positive gains. UK wheat was boosted late in the session by Governor Carney hinting at..
London November wheat closed down £1.60 yesterday as agricultural commodities suffered falls, this was largely due external influences rather than fundamentals. The upward momentum continues with November 16 London wheat closing up £2.20. Markets are weather nervous. London November 16 wheat closed up £1.85 on the day, but did reach +£2.65 at one stage before retreating. Combination of crops and currency giving..
November 16 London wheat closed up 70p on Friday, bringing weekly gains to £3.10. Bloomberg commodity index, which comprises of 22 raw materials, has registered just..
London wheat continued the rise from Wednesday, November 16 wheat closed up £1.60. Wheat found support from other commodities rather than significant fundamentals. UK and US markets were closed yesterday; Paris was open and registered 0.50 euro losses. London wheat closed Friday down £0.05 on the week and..
20 Years ago today Andrew Dewing came to Aylsham Grain to take on the grain marketing. 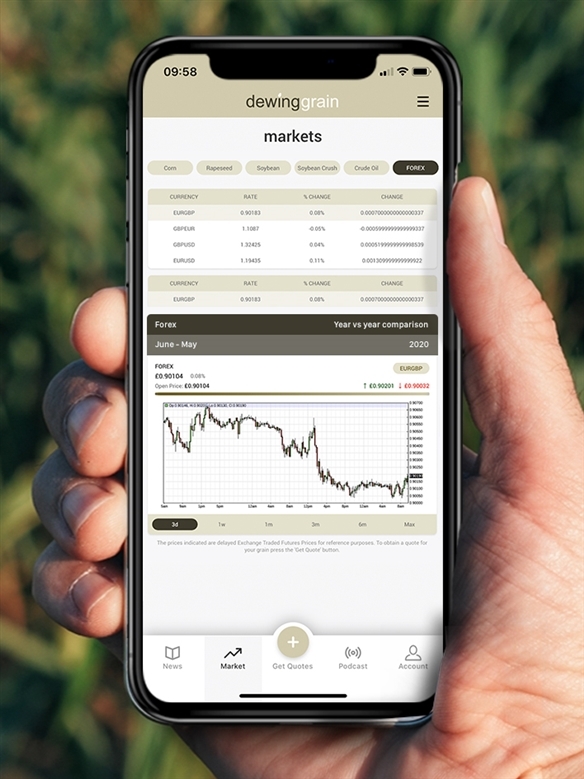 Since then Dewing Grain was formed and continues..
London wheat closed down 25p yesterday as sterling gained strength, according to recent polls the ‘remain’ vote made ground. London wheat closed up £1.05 yesterday despite sterling making biggest gains for 3 weeks. A reason for firmer UK wheat was the announcement that.. This year Dewing Grain will be holding its annual seed meeting in the Salmon Room at Anglia Farmers on the 1st June, 9am. Please RSVP..
London wheat registered small gains (c. £1) last week as agricultural commodities generally found support.UK March 16 wheat exports were 383,000 tonnes, a monthly increase..
London wheat 16’crop closed £1.20 down yesterday as lack of bullish news. London wasn’t helped by weaker sterling which fell due to economic figures;..
London wheat registered gains last week (old + £1.45, new crop + £0.65) making May - Nov carry £11.25, European markets were open yesterday but..
London wheat finished £2 down on Friday but up overall for the week; £1.40 old crop and £0.55 new crop. May – November spread slightly..
London wheat closed up c.50p on the day but trade was quiet; the rise was a reaction to other market activity. London wheat fell 15p on Friday but registered gains of 15p for the week. The May – November spread remains £13.50. London wheat closed up 85p on old crop and £1.25 up on new crop; May – November carry now £13.80. London wheat closed up £1.50 on Friday, weekly gain of £1 old crop and £1.25 new crop. May – November carry is £13.50 and May..
London wheat closed up 25p on Thursday to consolidate weekly gains of £1.90 old crop and £1.60 new crop, currently the May 16 – November.. Grain markets generally had a quiet week, London wheat was up 10p on Friday, but on the week, old crop wheat was down 45p and..
London wheat was up c. 50p yesterday as sterling fell. Sterling fell to a 2 week low on the back of a budget that gave..
London wheat was slightly weaker / unchanged Friday but on the week, old crop was +90p and new crop + £1.50, making May – November..
London wheat closed up (c. £0.50) on Friday to make 2 days of positive movements. Afternoon trade saw values retreat from morning highs and London..
Dewing Grain is running grain marketing pools for 2016 harvest. For more information please call. Global wheat markets firmed up yesterday, London closed up £1.25 but fundamentals remain bearish. Wheat markets suffered a day of losses, the overriding bearish sentiment sucked the life out of the markets. Old crop London fell £1.90 and new..
London wheat fell again as weaker sterling failed to halt the slide. Sterling fell below $1.40 for first time since May 2009,and with speculation it..
London wheat futures followed other wheat markets down, old crop down £1+ and new crop down c. 75p. London wheat closed up c. 20p yesterday as it followed other firmer markets. Sterling remains nervous ahead of this weeks ‘crucial’ summit regarding UK membership. London wheat closed 75p up on the day, market sentiment went from ultra-bearish to short term semi bearish. UK wheat export is revised slightly up..
London May 16 wheat contract closed up by 50p on yesterday’s trading, Nov 16 up 70p; the May 16-Nov 16 spread is still.. Following a recent downturn in prices, a number of farmers asked us to take responsibility for their marketing. This season’s pools proved very successful..
During Jan/Feb, growers that we work with will receive login details enabling them to access all their account information including current and historical data. London wheat traded £1 down, 2015 crop down £1.70 on the week and 2016 crop down £2.20 on the week; the May – November carry..
London wheat lost much of Fridays gains, closing 80p - £1.50 down in various positions. The May - November spread has increased to £9.25. The Chinese new year is on the 8th Feb, it will herald the year of the monkey but 2016 markets started more like the year..
At the end of 2015 London wheat was down 14.5% on the year, Paris wheat -13.3%, European corn -11%, rapeseed was + 6.6%. 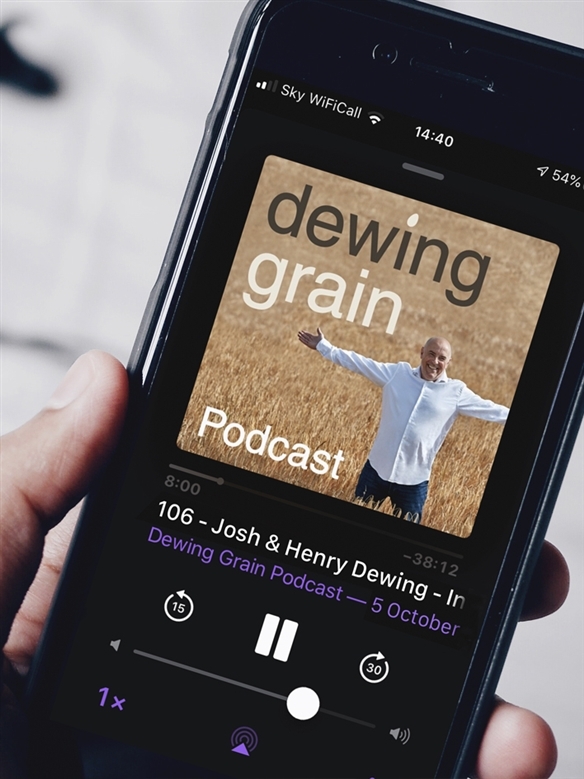 Dewing Grain is delighted to announce its 10th Anniversary. Not surprisingly the markets are very quiet, London 15 crop unchanged but November 16 up 40p; the spread between May 16 and Nov 16 is.. Wheat markets continue to track sideways, with small losses on London wheat yesterday negating last week's gains. London was up nearly £1 yesterday but it has been within this range for the last few months. London wheat was down 50p on Friday to total a weekly decline of 20p. Sterling is near an 8 year high against euro, More..
London wheat traded down 30p on 2015 crop and down 55p on 2016 crop. More.. Wheat trade is very quiet, few buyers matched by few sellers; London wheat was 10p down on the Thursday. London wheat closed 50p down on Friday but slightly firmer on the week. More..
May London wheat closed up £1.80 yesterday as London reluctantly followed firmer U.S and European markets. More..
November London wheat closed 50p higher yesterday helped by weaker sterling (low inflation figures). Export / fob prices improved with bids parity - more..
London wheat was an impressive £3.85 up in the November 15 position, having gained 40p on Tuesday, but why? More..
London Nov 15 wheat gained £1.60 on Monday but has now lost these gains in the last two days, abundant wheat supplies and little buying..
November London wheat was unchanged at the close on Friday but £1 up on the week, corn was up €3.50 on the week. More.. Thinking about your seed varieties for next season? We have been asked by a number of our farmers to organise grain pools for the 2015 harvest season. The complexity of price potential READ..
We are pleased to announce a new store for 2015 at South Pickenham. In time for harvest, construction of a new 26,000T grain store ..
Bring your moisture meter to the Cantley Office on Thursday 3 July between 8am and 4pm and we will calibrate it for you using standardised..
Bring your moisture meter to the Aylsham Office on Wednesday 2 July between 8am and 4pm and we will calibrate it for you using standardised..